Sweet Home Spun is a fiber art studio located in the historic Low Dutch Meetinghouse near Pleasureville, Ky. In 2005 Sam and JoAnn Adams acquired the original timbers of the Six Mile Meetinghouse, built by the early Dutch settlers in the region. The Meetinghouse was rebuilt on their farm and opened as a unique art and craft venue in November of 2005. JoAnn, Sam and Samuel Adams are the fourth and fifth generation of Kentuckians to live on the family farm. Sam and JoAnn Adams moved to Sam’s family farm in 1979. Preserving the rural and historic nature of the farm has been their passion. Sam, JoAnn and their son Samuel live in the family farm house circa 1890. 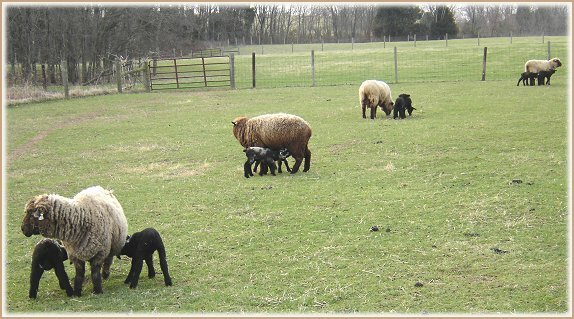 The friendly flock of Sweet Home Natural Longwool sheep graze the nearby pasture. 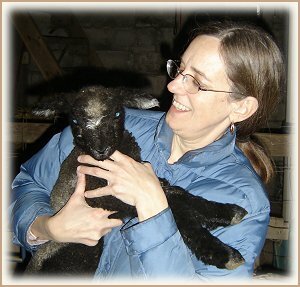 Lambs are born each spring in the lambing barn behind the house. 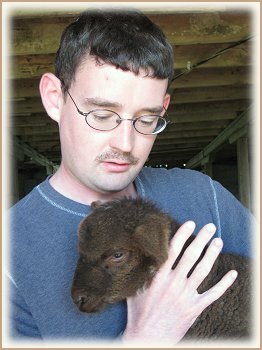 Samuel tends the flock of natural colored longwool sheep. 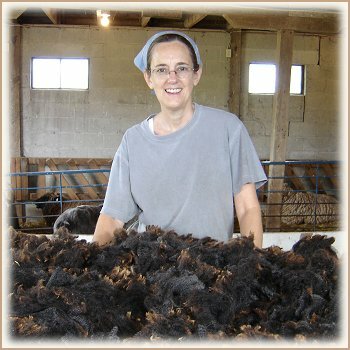 Each year their wool is shorn for JoAnn to spin and knit into lovely woolen clothing. The family looks forward to a new crop of lambs every spring. The flock is raised naturally for handspinning. The sheep graze on the luscious Sweet Home Farm pasture in the summer and feed on Kentucky grown alfalfa hay and corn during the winter. 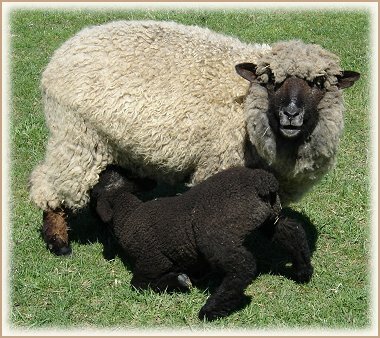 No chemicals are used on the soft, lustrous wool. 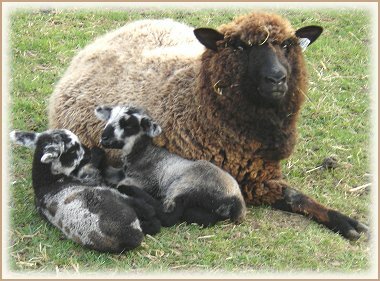 Sweet Home Spun offers a variety of natural colors from light to dark grey and moorit (brown). The gentle flock welcomes visitors to the barn. JoAnn enjoys sharing her love of fiber art. 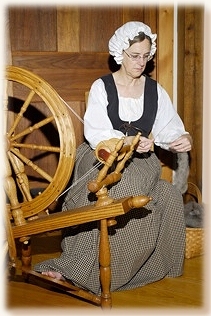 Visit the Meetinghouse where you may find JoAnn spinning yarn, Knitting a sweater or preparing a fleece to spin. JoAnn offers spinning knitting lessons and opens the Meetinghouse on the Second Sunday of each month for spinners and knitters to gather and share their love of the craft. Spinning wheels, yarn, fiber and knitting accessories are available for sale.